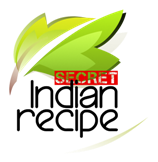 Home » How to make healthy drumstick leaves powder? How To Make Healthy Drumstick Leaves Powder? This podi goes well with hot rice, idli and dosa. sarakrish's Secret Indian Recipe ! Heat pan and add washed, dried drumstick leaves and curry leaves. Roast untill it becomes dry. Transfer it to a plate and allow it to cool. Meanwhile dry roast chana dal, urad dal, coriander seeds, groundnuts, cumin seeds, pepper, red chillies in a pan. Transfer everything into a mixie jar and add required amount of salt. Grind it to a coarse powder. Farali cutlet recipe | फलाहारी कटलेट रेस . . .